The notion of race is a ridiculous one. As a person with red hair, blue eyes and pale skin, It is impossible to be categorized as anything but “white.” It’s taken hundreds, if not thousands, of nations and tribes to create the person I am. And yet my unique blend of European, Native American and possibly Jewish ancestry is all merged into one single, definitive category — white. A color of all things. 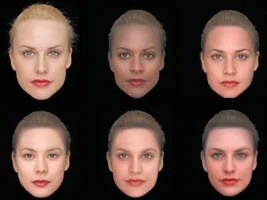 Race has less to do with actual differences and more to do with perceived differences, such as skin color. Its definition and boundaries are not absolute. There was a time in America when Italians and Jews weren’t considered “white” by the U.S. government as they now are — evidence that race is nothing more than an arbitrarily assigned category. But the real question is why societies insist on grouping people by race rather than nationality, region or tribe. Why, when there exists a seemingly infinitive variety of skin tones, do they prefer to reference unyielding colors? Because race divides us. It puts millions of genetically unique individuals into broad groups and positions them against one another. Black vs. white, yellow vs. brown, logic vs. illogic. In actuality, there is such a thing as race. But it is singular, not plural. It is the race of all persons: the human race. VIDEO: Time Wise, author of “White Like Me,” discusses the newness of the concept of race and how it has been used in America to divide and conquer. Open immigration; a win-win situation? Growing up in a conservative household, I was taught the value of free-market economics and limited government from a young age. Government was a thing to be feared and restricted. Human beings, on the other hand, should be allowed maximum freedom — at least in the area of economics. But when it came to the issue of illegal immigration my parents sang a much different tune. In their minds, illegal immigration was a scourge on America’s land that bankrupted both the economy and American culture. Ironically, most conservatives today share the sentiments of my parents. Why is it that those who are the loudest advocates for laissez-faire capitalism are also the loudest advocates for protectionism? If conservatives truly believe in the power of the “unseen hand,” why do they not extend it beyond America’s borders? The necessary, logical conclusion for those who truly believe in the free-market is that legal immigration is beneficial for a society. Conservatives need to revisit their belief in supply-and-demand. Perhaps then they would realize it is the demand of American consumers that brings immigrants to our country. Jason L. Riley, author of the book “Let Them In: The Case for Open Borders,” agrees with Legrain. As a conservative member of The Wall Street Journal’s editorial board, Riley finds the anti-immigration attitudes rampant among his fellow conservatives troubling. Riley Argues that there is no correlation between an increase in population and poverty. He compares the influx of Mexican immigrants to that of the Italians, Germans and Irish. “Scapegoating foreigners for domestic problems, real or imagined, is something of an American tradition,” Riley said. Illegal immigration is a problem as it allows for millions of undocumented persons to live in the shadows of a nation. However, immigration is the result of market demand. Americans need to realize legal immigration is a benefit, not cost, to them. Watch Jason Riley at The Cato Institutes’ book forum. I love when people assume just because I am “white” with red hair and blues eyes, I must be a racist like them. Case in point: Joplin white supremacists. Not really enjoying the company of my new skinhead friend, I quickly looked for an exit strategy. And with that, I hurried off to greet my new, imaginary table. And now, looking back on the not-so-distant encounter, I feel a little guilty. Should I have said something more? Been more bold in making known my disapproval of his racist attitude? Though he didn’t actually say anything racist, his intent was clear. As a student preparing for a career in journalism, I’ve been taught over and over again the importance of honesty and fairness in reporting. So for the sake of truly being “fair and balanced” I decided to Google “Tea Party movement racist” yesterday. Sometimes the truth is more unsettling to the reporter than to the reader. I found a number of images depicting signs with racist/ethnocentric phrases spray-painted on them. Evidently, Freedom Works and Glenn Beck have conveniently overlooked many of the events’ participants. Their reporting of The Tea Party movement and the 9-12 Project depict a sterilized version of what’s really going on at these protest — ignoring much of the racial “background noise” as Tim Wise, author of Between Barack and a Hard Place, puts it. At least, that’s what I thought. Sometimes I really hate being wrong. While many have attacked the Tea Party movement for its racial undertones, the real issue isn’t race — it’s a highbred of nationalism, ethnocentrism and racism. Take, for example, the recent hysteria over “socialism” and “communism.” Let me first say that I do not support socialism or communism. I find them both fallacious and their view of human beings oppressive. But I do not fear socialism or communism — on the contrary, I see merit in many of their ideas. But the constant employment of the blade and sickle and the finger pointing harkens back to the days of McCarthy and “red baiting.” Americans had a heightened sense of nationalism during and after World War II. The election of President Barack Obama seems to have brought to surface the nationalistic/ethnocentric attitudes of many Americans. Take, for example, the “birther” movement. For sure, some of the birthers are racist individuals who don’t want a “Kenyan” in the White House. But the large majority are red-blooded Americans who don’t want their country to be taken over by a “foreigner.” They are nationalist who see America and American culture (e.i. capitalism, Christianity, etc.) as being threatened. At first, I couldn’t imaging where all these tea partiers were during the bailout-Bush era. Now, I understand. The majority of these people didn’t see Bush as the threat that they see Barack Obama. After all, Bush was American; he was from Texas; he gave lip service to the ideals of capitalism and limited-government spending. But Barack — he’s just too different. It’s sad to see the racist/ethnocentric/nationalistic tendencies of America boil to the surface. A movement that is seemingly empowering the people is at the same time oppressing them. My hope is that the ideas of liberty and limited government rise above the ignorance and prejudice that are clinging to them.